For over 30 years My Little Pony toys have brought magical fun to millions of children worldwide. These vinyl toys have been a staple of many toy-boxes and on many letters to Santa, since their introduction by Hasbro© in 1981. The sweet ponies come in a huge variety of styles and each character has its own sweet name like Rainbow Dash, Princess Twilight Sparkles, Apple Jack, and Pinkie Pie. If the names alone don’t make these little ponies irresistible to children, then their various adornments will definitely catch your child’s eye in the toy-store. For many young children- especially girls these My Little Pony toys become one of their first collectibles, always looking in the toy aisle for a different character to add to an ever growing collection of ponies. For My Little Pony fans, this holiday season Hasbro offers many new My Little Pony toys that engage children and encourage pretend play. Whether children prefer the My Little Pony Friendship is Magic collection line, Equestria Girls, or both, the Hasbro Toy Shop has them covered. 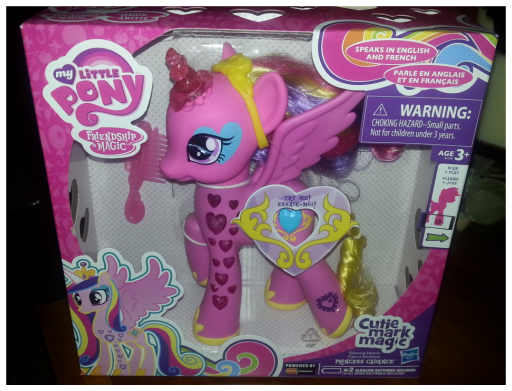 Below are highlights of the top My Little Pony toys for 2015 that made our wish lists this holiday. Hasbro has now introduced a brand new exciting segment in My Little Pony. 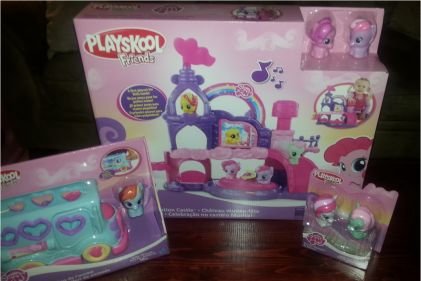 Now children as young as 18 months can discover the fun of My Little Pony toys with Playskool Friends! 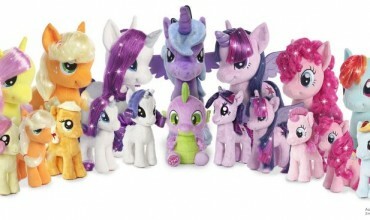 Perfectly proportioned for little hands to hold, these colorful, age-appropriate pony friends feature beloved characters such as Rainbow Dash, Rarity, and Applejack. Each Friendship My Little Pony two pack makes the perfect stocking stuffer and each pack includes a pair of adorable, toddler-friendly My Little Pony Charters. Choose from AppleJack and Daisy Dreams, RainbowDash and BumbleSweet or Minty and Moon Dancer. Each figure works with Playskool Friends play-sets and vehicles that are sold separate. With the Playskool Friends My Little Pony Musical Celebration Castle, toddlers can engage with the ponies of Equestria. 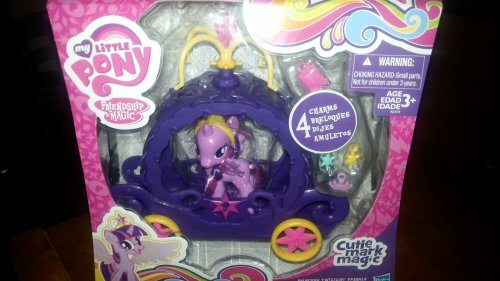 The castle playset comes with two chunky pony figures- Pinkie Pie and Starsong. Place the ponies on the dance floor and press the large button to make the dance floor spin while music plays. For more sounds, flip down the Applejack pony panel. The play-set also features a kid-powered elevator, a slide, and an opening stable door. When the pony friends are ready for naptime, flip down the wall on the second floor to reveal a comfy bed and hear lullaby music. Note: This play-set requires two AA batteries, which are not included.Make sure that you have some on hand Christmas morning. 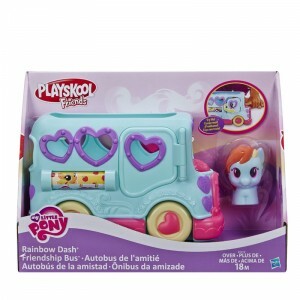 This colorful My Little Pony bus comes with a Rainbow Dash figure, which can be used with the ” Playskool Friends My Little Pony Musical Celebration Castle.” There’s also room on the bus for two more ponies, which are sold separately. The bus measures 7.5-inches long and has some fun features for little ones to enjoy. Aside from working wheels, there is a roller on the side of the bus for kids to spin to see images of popular ponies, Pinkie Pie and Apple Jack. There’s a Rainbow Dash-inspired stop sign to open and close, and a button on the hood, that when pressed, opens the bus door. 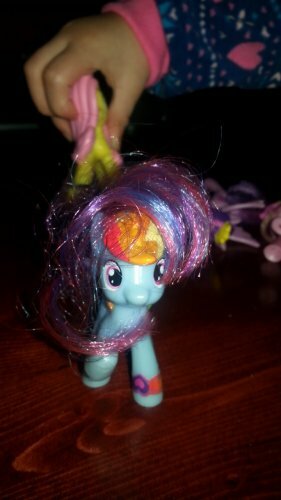 While the “Playskool Friends My Little Pony toys” may be geared at a younger audience my daughter who is just shy of three enjoys incorporating the chunky pony figures into her My Little Pony and Little People play. 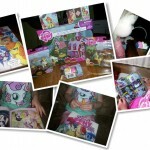 The fun never stops with Hasbro’s My Little Pony Pretend Play range. Children can dress their Princess Twilight Sparkle pony in her pretty tiara, and place her in her carriage for . There’s enough room in the carriage for 2 ponies. The play-set includes 1 pony, additional ponies are sold separately and 4 super cute charms. The charms can be added on easily and don’t fall off, and there is a variety of places to place the charms on the carriage. You can also decorate with charms from other Cutie Mark Magic pony figures (sold separately), changing the look of the carriage each time you play. The carriage features working wheels and there is a door on the carriage that opens and shuts. My Little Pony – Cutie Mark Magic – Princess Twilight Sparkle Charm Carriage Playset would make the perfect gift for young fans. Some of the most memorable characters and stories from “My Little Pony Friendship Is Magic” are jumping off of the TV and into your living room this year with the all new My Little Pony Friendship is Magic collection line from Hasbro. 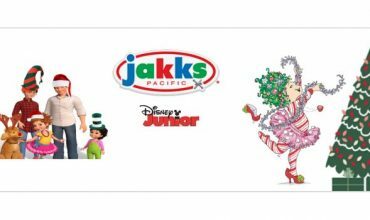 Your children can reenact their favorite moments from the animated series with this exciting assortment of themed play-sets and story packs, featuring collectible characters from the show. This series is all about the Sweet Apple Acres and the Apple Family. This two-story playset features the barn on the Apple family farm, Kids can imagine playing with Granny Smith and Crimson Gala (both figures included) along with themed accessories. The colorful and fun playset is for ages 3+. Get ready for bright princess fun with this light-up, talking figure. As you comb and style her super soft long, gorgeous hair, she responds with several different phrases! As she speaks her legs and horn light up. She also sings. Because this is a Canadian doll, the pony speaks both English and French. Kids will adore combing her hair and styling her mane and tail – although she doesn’t come with any hair clips. We did notice she has no off button too, which may annoy some parents. Despite the minor issues, if you have a My Little Pony fan in your house, then I am sure she will be greatly appreciated. Scan your pony’s code to unlock more fun in the My Little Pony app! Requires two “AA” batteries, not included. I know my daughter is going to love her come Christmas morning. Your kids can create Cutie Marks and other fun designs with these Play-Doh Princess Twilight Sparkle and Pinke Pie rolling and stamping tools. This set features 2 molds of Twilight Sparkle and Pinkie Pie. Fill in the ponies’ sides to create Play-Doh cutie marks and you can also make your own fun shapes with the Twilight Sparkle stamper. The roller features fun designs and can be removed from Pinkie Pie. Each set includes two character tools and four cans of Play-Doh compound in pink, purple and two shades of blue. If your little one likes My Little Pony, it’s a nice addition. 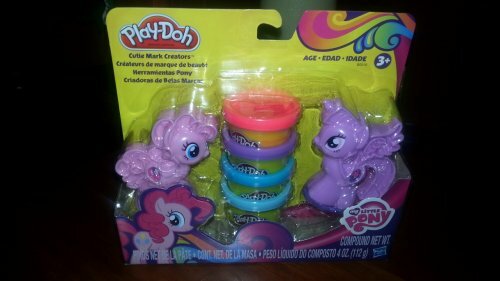 I am thinking my daughter might prefer the Play-Doh My Little Pony Make ‘n Style Ponies set, wheres he can make actual ponies over this, but we will see come Christmas morning. 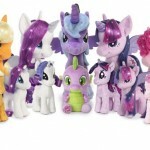 You can these My Little Pony toys and more at most major retailers and on hasbrotoyshop.com or via Amazon.com and Amazon.ca. Hasbro (NASDAQ: HAS) is a global company committed to Creating the World’s Best Play Experiences, by leveraging its beloved brands, including LITTLEST PET SHOP, MAGIC: THE GATHERING, MONOPOLY, MY LITTLE PONY, NERF, PLAY-DOH and TRANSFORMERS, and premier partner brands. 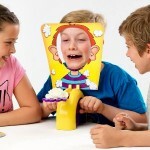 From toys and games, television programming, motion pictures, digital gaming and lifestyle licensing, Hasbro fulfills the fundamental need for play and connection with children and families around the world. The Company’s Hasbro Studios and its film label, ALLSPARK PICTURES, create entertainment brand-driven storytelling across mediums, including television, film, digital and more. Through the company’s commitment to corporate social responsibility, including philanthropy, Hasbro is helping to build a safe and sustainable world and to positively impact the lives of millions of children and families. Learn more at www.hasbro.com, hasbro.ca and follow on Twitter (@Hasbro & @HasbroNews) and Instagram (@Hasbro). My Little Pony is one of my daughters favourites. Her and her friends enjoy picking a pony to play. My daughter is a My Little Pony fan! She has several ponies and hair accessories. We spend a lot of time playing together with these making up games. We also enjoy the My Little Pony books from the local library. My daughter is all grown up, but she still has her collection stored. She is saving them for when she has kids of her own. 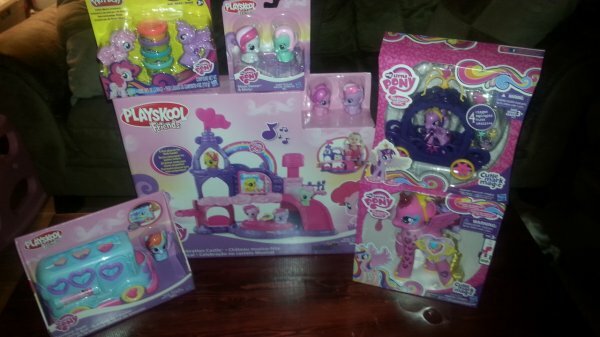 I love the Play-Doh Princess Twilight Sparkle and Pinke Pie rolling and stamping tools!! I know my niece would love them too – she loves Pinkie pie. She has a super cute pinkie pie shirt and it’s all she wants to wear. 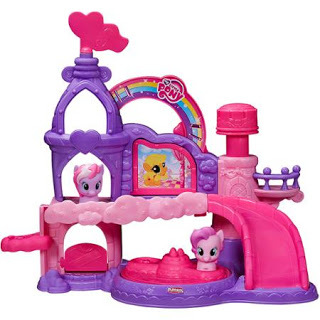 I think my daughter would love the My Little Pony Musical Celebration Castle! It looks like a lot of fun. She enjoys making up elaborate stories for her ponies, it’s pretty sweet! My daughter doesn’t really have a favourite…as a little girl I had a big love for my little pony, my cousin and I use to compete collecting them.. it was great. I like the My Little Ponies with the Play doh. My niece would love the cutie mark magic! I really like the Bright princess one..love that it is Canadian. The ponies sure have come a long way! 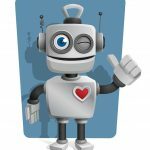 now with apps and talking… i remember my sister having them and my one daughter even though 13 now still loves them, she has sooo many of them they fill a huge tote! She is keeping them! i have step grandkids and my youngest is just discovering all about them and we are gifting her this Christmas with some! When visiting here she plays with the tote full! 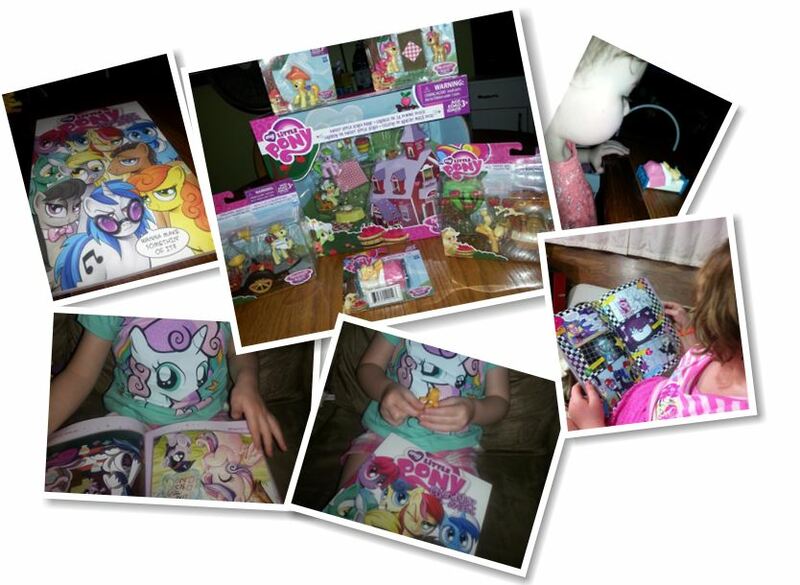 My little girl cannot get enough My Little Pony. I think the Sweet Apple Acres Barn is is super cute. I, personally, like the My Little Ponies from the 1980’s best, but my daughter loves them all. I have two daughters 5 and 10 and they both love MLP. One of my granddaughters is a big My Little Pony fan. Her favourite character is Pinkie Pie. The Playskool Friends My Little Pony Musical Celebration Castle would really appeal to her I think. My granddaughters love my little pony. They sit for hours playing with them. My daughter is totally in love with playdoh. At night, she watches reviews on playdoh sets so she’d love this one -> “Play-Doh My Little Pony Make ‘n Style Ponies set”.